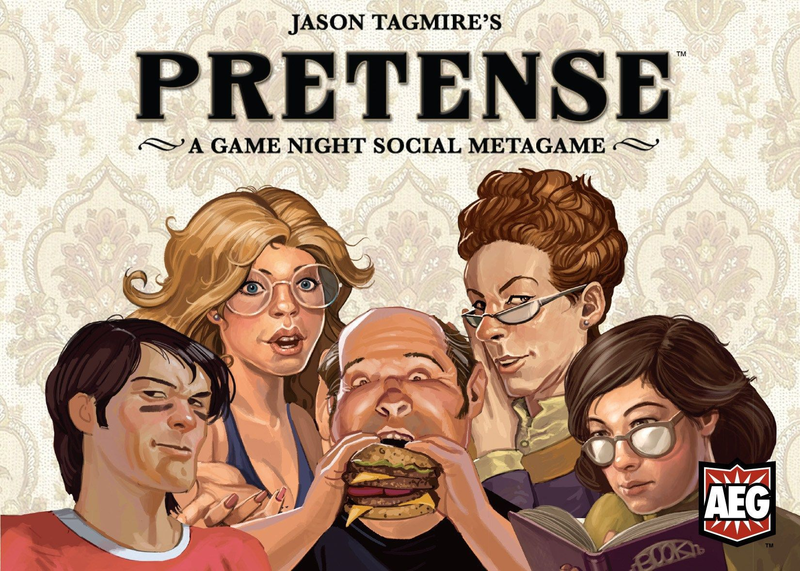 Pretense is a game night social metagame, essentially a game that you play DURING other games. You have a secret role and a secret objective, and if you accomplish it, you gain a point AND you steal someone's role. With that role you can try to gain more points and more roles. The game plays from 2-12 and is great on a good-sized game night with about 5-6 people.